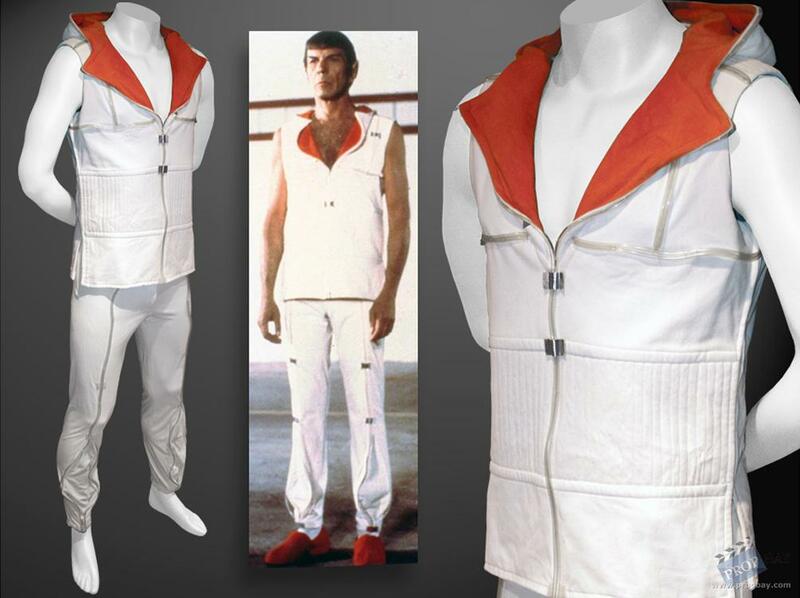 Costume worn under spacesuit and also in the sick bay of Star Trek: The Motion Picture by "Spock" (Leonard Nimoy). After mind-melding with the alien machine V'Ger, Spock recovers in sickbay. Nimoy wears this during the pivotal emotional scene that changes the fate of the Enterprise and her crew. Sewn in Western Costumes Co. Hollywood tag reads "Lenard Nimoy". Added: 06-16-2014 - Viewed: 1537 times.